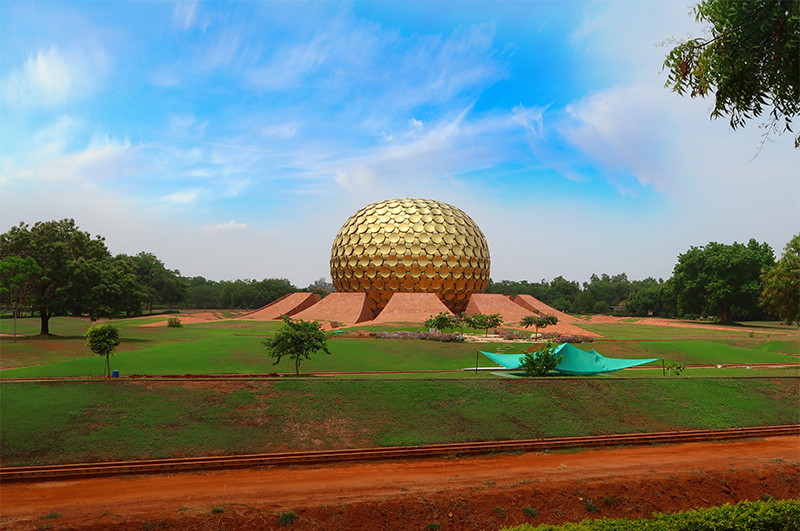 Visiting Auroville has been on my bucket list for a really long time. So, when I finally made it here, I was not just happy but filled with a great sense of awe and respect for all that this place is. The entire concept on which Auroville is based is something I absolutely believe in – ‘progressive harmony above all creeds, all politics and all nationalities’. This is a place for everyone to live in peace and unity. It is amazing to see how this entire township is so self sufficient and has its own sustainable eco system. 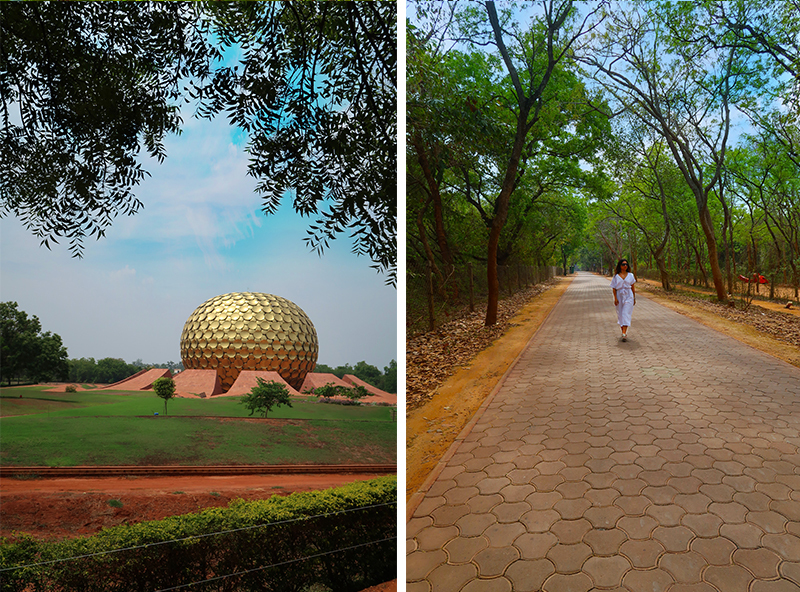 It does take more than a day to explore and experience all of Auroville as it is scattered around 20 sq kms of forested, semi-urban and beach areas. So, consider a few days if you want a wholesome experience. 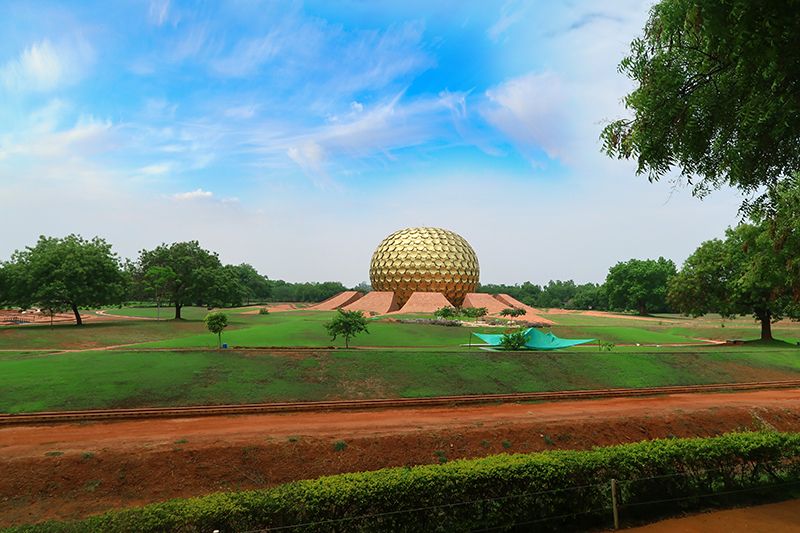 Matrimandir – Book in advance and go for an introductory tour. Programmes – Auroville’s spiritual vision is unique. 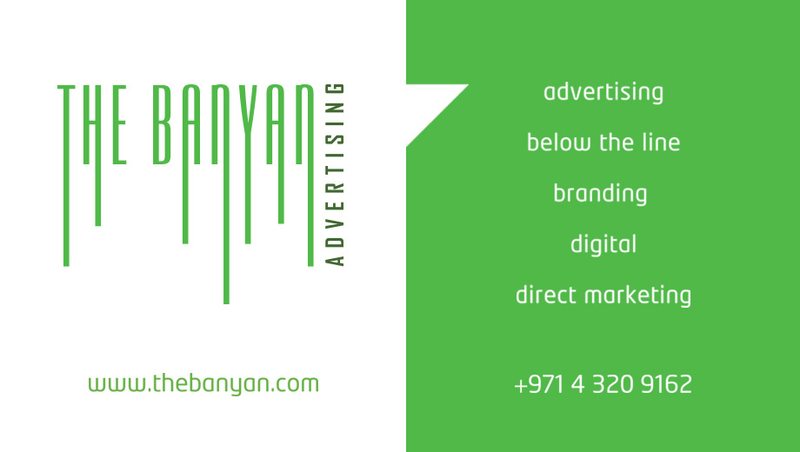 If you are keen to explore that, then you can join the various programs that they offer.Food – Don’t miss out on the food here. Auroville has a great set of eateries offering local and international cuisines. All their produce is local and grows within the township which makes everything super tasty. Svaram – This is a musical center and a workshop where they make some really unique musical instruments. They also have a healing center (healing through music) where you must book in advance for a session. Solitude Farm – This is more than just a farm about sustainable agriculture. Don’t miss a meal at this place. 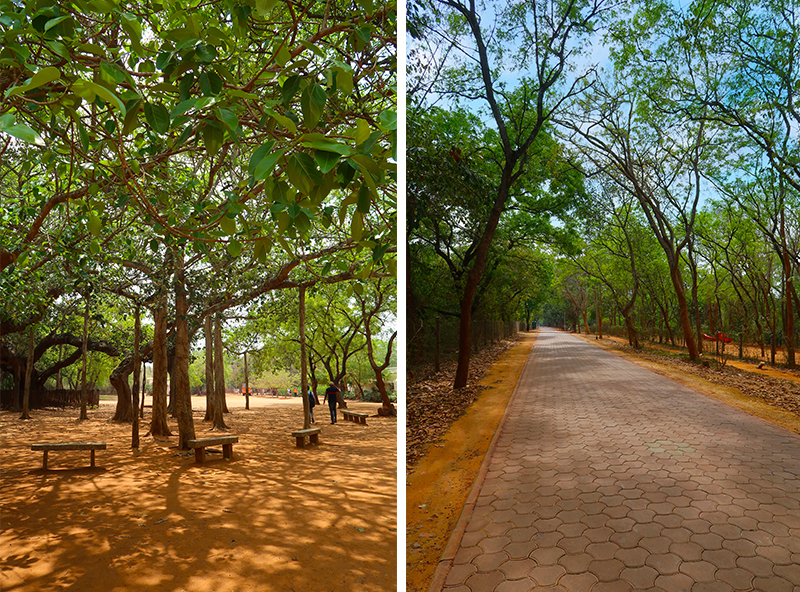 Auroville is a ‘way of life’ and is evolving every single day and it does take some time to consume it all. There is no Ashram here but a vision which is very clear – ‘that of unity, peace and cohesiveness’. So, go with an open mind if you want to embrace it all.